Welcome to the Barbara Parkins - A Loving Tribute website. 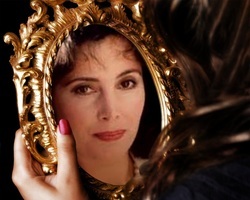 This site is dedicated with much appreciation and dedication to Actress Barbara Parkins. It is filled with many insights as to Barbara's career highlights as well as information compiled from many sources that showcase a beautiful life, career and passions. Barbara Parkins is a iconic film and television star that appeared in many films and television appearances over several decades leaving memorable lasting moments captured in film and television history. Barbara is best remembered as an icon of the Sixties who had starring roles in two of the decades more notorious productions in Peyton Place from 1964 to 1969 and Valley of the Dolls in 1967. Overall her career brought many wonderful performances (as well as an Emmy Nomination) and appeared in many epic television mini-series such as "The Manions of America", "Testimony of Two Men", "Captain and the Kings" and "Jennie: Lady Randolph Churchill". Barbara was a talented actress with a successful career in Hollywood and today has many fans throughtout the world who adore her. Though retired she is still very active in her enviromental causes and appreciates her fans. She has an Official Fan Page on FaceBook and shares updates with its members and we can only wish her the best and say a big thank you to her for giving us such great performances and fond memories. Please be advised this website is dedicated to Barbara and her fans and all information included within has been compiled from various sources and please give us your comments, suggestions, updates or any other issues you may have with this tribute to Barbara. Website Courtesy of the George Communications Group - Last Update: 7/12/2012.